babysitter, grab dinner and a few drinks, and catch the flick with my lovely wife. heavy rotation, and the family was soon practicing their moves along with the video. So it seemed we now had another reason to give it a try. more frightening denizens, I began to plan in earnest. 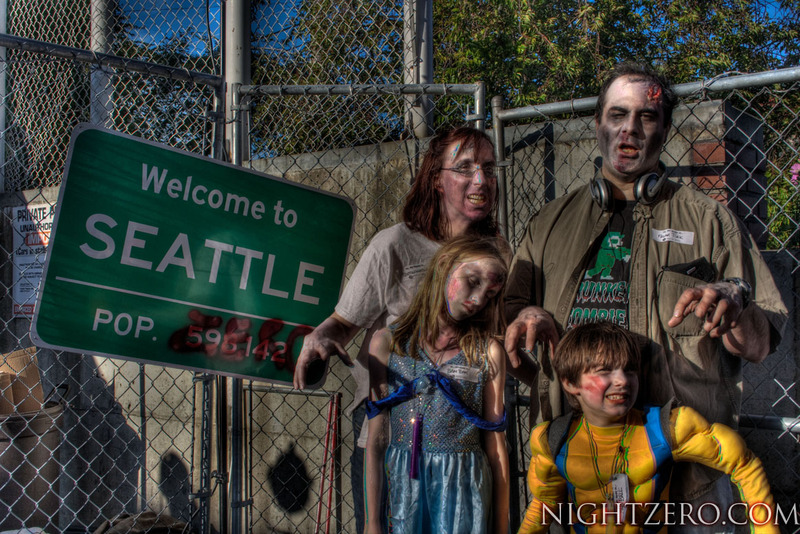 on latex makeup and a homemade blood recipe, while a special Walk-centric episode of the Seattle Geekly podcast provided a few last minute details. 28 Hours Later (or thereabouts), I was off and running. Yeah, running. I said it. repaired to the backyard for my "piece de resistance", barbecue soot to rub into my clothes for the proper "buried" effect. the attention of our fellow drivers. 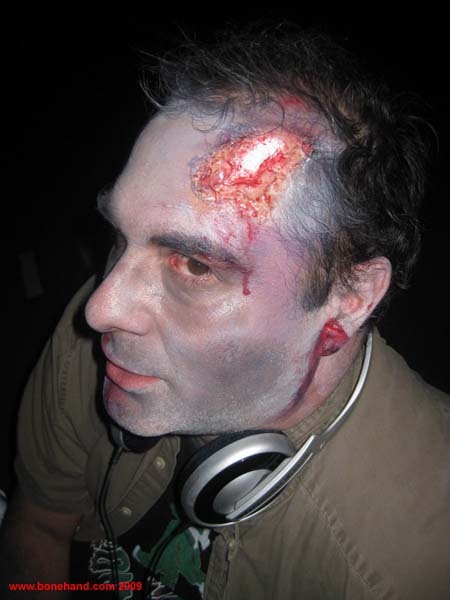 "The largest gathering of zombies involved 894 participants at Monroeville Mall, Monroeville, Pennsylvania, United States on 29 October 2006." clipboards and folding tables to add their names to the lists. Once logged, we were allowed to enter the event proper, large parking lots with huge screens painted on the sides of their adjoining buildings. passengers or leering at diners through restaurant windows. However, long lines of undead in bars and ice cream shops cheerfully lessened the horrific illusion. effort, as documented HERE by a quick fingered filmmaker who stood directly behind us in the crowd. Guinness at this year's San Diego Comic-Con.